Emerging mobile applications on a growing scale adapt their functionalities and the way these are provided, leveraging the user’s contextual information, without the need of explicit settings setup from the users side. However, this contextual information, e.g., location and other environmental information, may not fully represent the users’ context. There are other contextual features related to the user’s social context that may be considered. 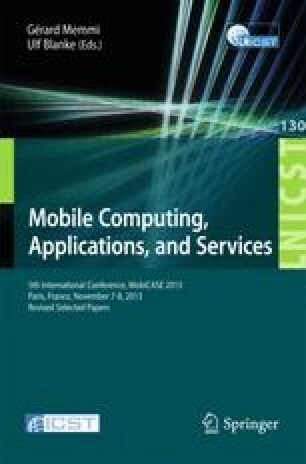 In this paper we introduce an example of such contextual information - the intimacy context information, and we investigate if smartphone users change the way they interact with their smartphones depending on their intimacy state. We performed a 4 weeks 20-users study, with participants using their own smartphones in daily life environments, and being sampled for their intimacy perception. Our results show how intimacy context changes and relate to the smartphone usage. Therefore our research contributes by introducing new context information - intimacy, which can be leveraged by developers to create mobile applications automatically adapting to provide different services, functionalities and content depending on the intimacy level of the situation the user is in.